EMBROIDERY – Kluch Clothing Co. If you are looking for a clean, professional look, embroidery is the way to go! 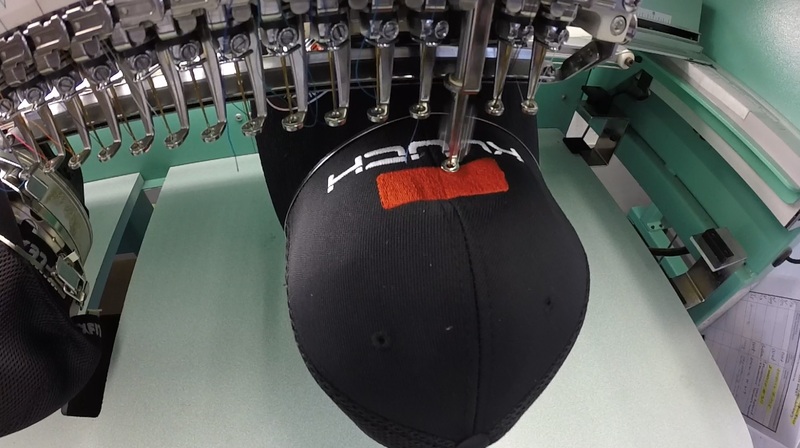 We are fully integrated with producing your custom embroidery apparel. With our great selection of garment vendors, we are streamlined from start to finish in helping you select the right products > supplying the garments > production > packing > order completion. See our catalogs for apparel options. Minimum embroidery orders range between 12-24 pieces, depending on garment type and design. Order turnaround is roughly 7-10 business days after digitized art approval. Digitizing charges are incurred, which range between $60-125, on logos or designs that are not in an embroidery file format (.DST, .EMB). There are no embroidery setup charges on re-orders if we have the digitized file on file. Pricing is based off of the stitch count, location, and quantity. Please submit your artwork and send us a quote request so we can create a quote for you. We can elect orders for pickup or shipping. We ship via UPS, Fedex, USPS, and DHL. We can ship goods using our customer’s shipping accounts as well. Kluch Clothing can assist you in any part of the order process. Whether it’s graphic design, conceptualization, decoration options, thread color selections, sizing, colorways, fulfillment, drop shipping, etc, we have you covered.